Investigation Discovery is taking on the case in Making A Murderer. According to Deadline, the network will air a special investigation into the story behind the popular Netflix documentary series. 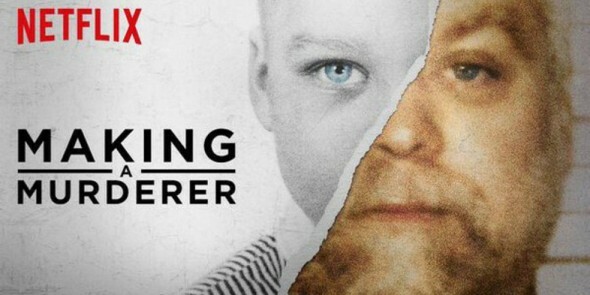 Making A Murderer debuted on December 18th and follows the story of Steven Avery, a Wisconsin man who was exonerated after 18 years in prison for a crime he did not commit. The documentary series centers on his trials that follow when he is accused of murdering a 25-year-old woman only a short time after he’s released from prison. Since the series’ premiere, Avery’s case has cultivated a popular following. Several petitions have been started with the aim of earning Avery a pardon or re-trial. However, some people involved with the case have come forward with criticisms of the series, saying the documentary left out critical details that question Avery’s presumed innocence. The Investigation Discovery special, Front Page: The Steven Avery Story, will look into these details with the help of NBC News. No premiere date for the ID special has been announced yet. What do you think? Did you watch Making A Murderer? Will you watch the ID special? Do you think Steven Avery is innocent? More about: Investigation Discovery TV shows: canceled or renewed?, Making a Murderer, Making a Murderer: canceled or renewed?, Netflix TV shows: canceled or renewed? Don’t any of the networks get tired of giving these people air time? That’s all they want… publicity!